Apple iPhone launch event, live from 6pm UK time | What Hi-Fi? iPhone 5C pre-order from September 13th, both on sale September 20th. The fingerprint sensor can read multiple fingerprints – a replacement for the password. Touch ID is official. This is Apple's new fingerprint sensor for the iPhone 5S. Deeply integrated in to iOS 7. Fingerprint rather than security lock? The sensor is built in to the home button and scans your finger. You can buy iTunes tracks with your finger! More talk about that all-important A7 chip in the iPhone 5S. Faster, more powerful experience. Next, the camera: bigger pixels makes for better pictures, says Apple's Phil Schiller. iOS 7 is designed to take advantage of the new camera. We're back on the iPhone 5S awaiting news on features and spec. New CoreMotion API which identifies user movement. Fitness apps? Inside is the A7 chip. A 64-bit chip. Big jump in processor, a whole new processor. Gold, silver and space grey colours confirmed for the iPhone 5S. High-grade aluminium. iPhone 5S is official. "The most forward-thinking phone we've ever created." iTunes Radio will also launch on September 18th, as part of iOS 7, as expected. iPhone 5C available in 16GB and 32GB sizes, $99 and $199 with a 2-year contract un the US. 8MP iSight camera, new Facetime HD camera - better in lowlight. So a new front facing camera. LTE, WiFi. Hard-coated polycarbonate, aka plastic, 4 inch retina, A6 processor. Sounds very similar to the iPhone 5 but in a plastic case and with a choice of colours. More fun and more colourful. Green, yellow, blue, white and red. And they are bright! "This year we're going to replace the iPhone 5." Two new designs. iWork chat now. Five free apps on all new iOS devices: iPhoto, iMovie, Pages, Numbers, Keynote. September 18th for iOS 7 release. iPhone 4 and above, iPad 2 and above, iPad Mini, 5th-gen iPod Touch and above. Apple iTunes Radio being show on stage, it will be integrated in iOS 7. "The best way to experience new music." Also new in iOS 7 – a male voice for Siri (!) and new ringtones. Contain your excitement. Cook is talking through iOS 7. Launched 3 months ago at WWDC, it's set to be live on the new iPhones. Read all about it here: iOS 7. Cook is talking about new stores in the US. Interesting... but we know it's all about the products. Some figures: iOS 7. Next month Apple will ship its 700 millionth iOS device. First off... iTunes Festival. Hmm. Now on to retail, and Apple is expanding its footprint outside the US. Tim Cook is live on stage. A cheap iPhone 5C looks nailed-on, we even have the first iPhone 5C cases press releases coming through. Here's one from iChic Gear of Switzerland. Curved edges and a deeper design case it seems. 30 minutes to go and our man in Cupertion is on his way inside Apple's California HQ. We're expecting two new iPhones, and will be bringing you hands on reviews of the new phones. The next Apple iPhone event is due to take place today in Cupertino, California, with a scheduled start time of 6pm UK time. Two new iPhones are expected to be announced, the flagship iPhone 5S, an upgrade to the iPhone 5, and the iPhone 5C, a cheaper, budget iPhone, set to be available in a wide range of colours. An outside bet? How about high-resolution audio support for the new iPhone? With LG, Samsung and Sony recently launching high-res products, it's not beyond the realms of possibility. 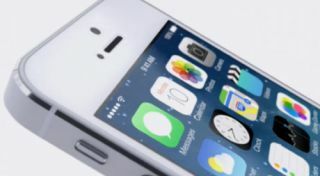 Apple will also offically release the new iOS 7 operating system, which will ship on the new iPhones and be available to download to selected existing iPhone models. A release date for the new iPhones will be confirmed, with the smart money on September 27th, while news on Apple TV and the recently announced iTunes Radio service is also expected. Could there also be a new iPad? We shall see. We will be covering the event live as the news is announced, while our man in Cupertino, Mark Prigg (the only UK journalist at the event), will be giving us the lowdown on the new iPhones straight after the event. For now, you can read what he expects to see - and why it's the most critical iPhone launch yet.